Your top performing global content manager! With K-signage it’s never been easier to manage your global network of screens and players from one simple interface. It’s a multi-channel cloud or on-premise content management system for digital signage that allows you to customise, deploy, schedule and monitor content across a large network of digital displays. Immediate access wherever you are. 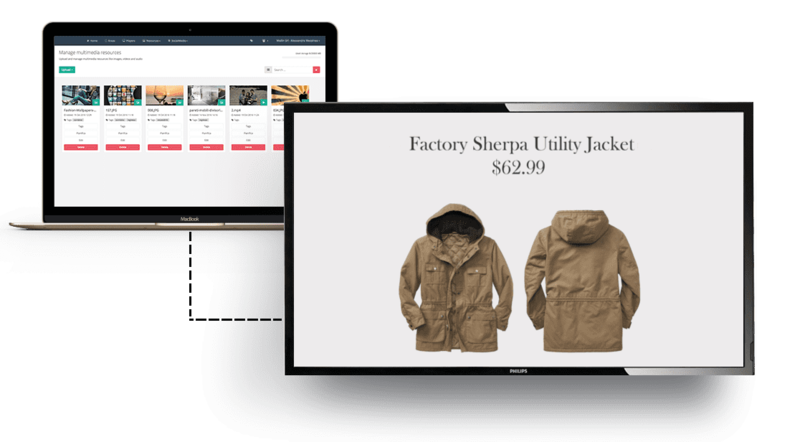 From any Internet-connected device you can now manage thousands of different digital signage platforms from the one dashboard. 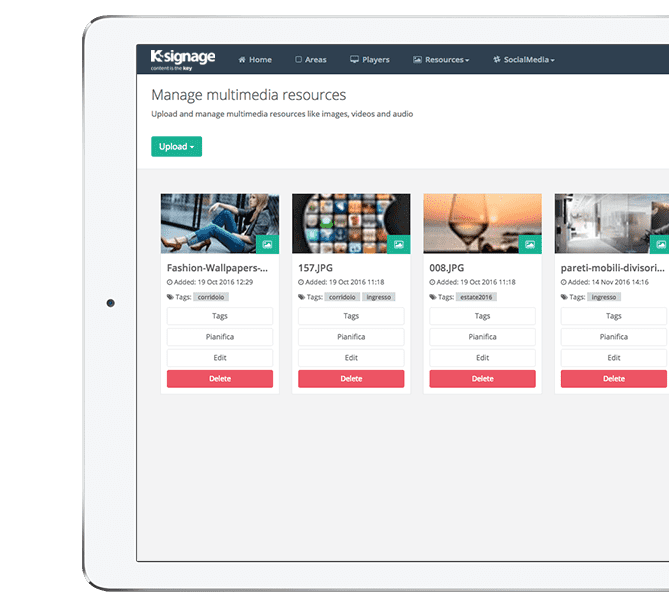 Even more, K-signage is the first content management system to enable the import of dynamic content from social media – such as Twitter, Facebook and Instagram – as well as images, video, RSS feeds, live news, and calendars to name a few. No one is left out: multi-player brands are welcome! 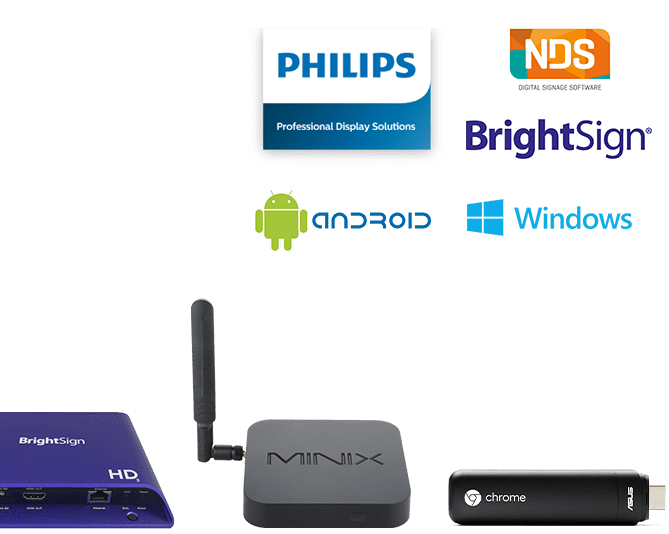 K-signage supports a wide range of digital signage player brands, meaning that large, heterogeneous, multi-manufacturer networks can be integrated into a single solution via a simple and unified cloud-based interface. 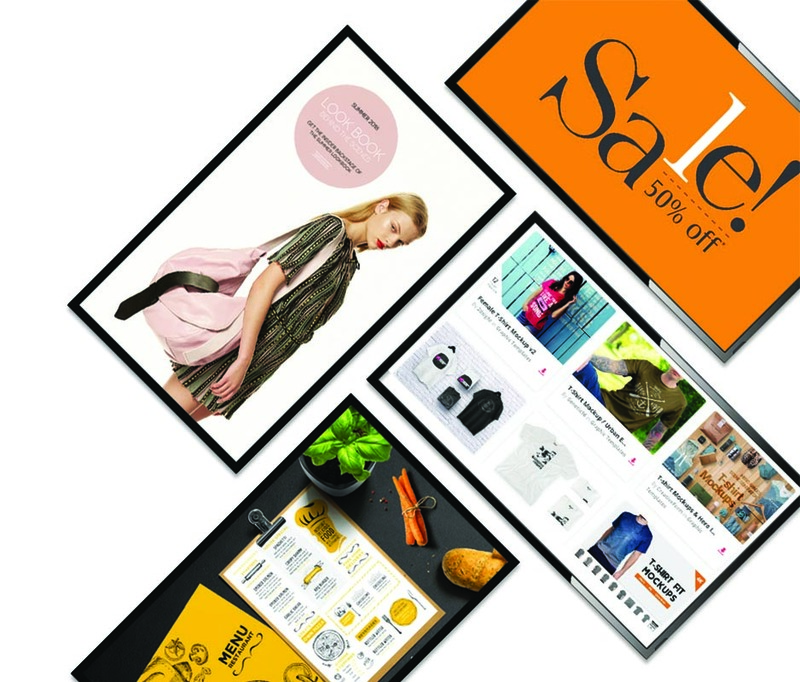 BrightSign and Net Display Systems PADS4 platforms are also supported. Say goodbye to groups and playlists. Say hello to channels. The new framework is the core of K-signage that allows a fluid and productive collaboration between the IT and the marketing dept. The IT dept can control the structure of the player network, while the marketing dept can focus on content and campaign management. from any device such as a PC, tablet or smartphone without the need for locally installed software. you can import dynamic content from any social media, images, video, RSS and ATOM feeds, calendars and more. and intuitive that you don’t need to undertake any specific training or have any technical understanding. Managing your global network of screens and players from one standard interface, no matter the device manufacturer, will not only alleviate the challenges you face on a day-to-day basis but will also save you so much time and resources.